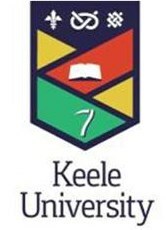 Tenbury Surgery is pleased to announce our involvement with the training of medical students from Keele University and the training of GP trainees from the West Midlands Deanery. If you are a trainee or student who would like to gain experience at the practice or contact us about an upcoming placement - contact us! Students from both the 3rd and 5th years of their 5 year course will be under the direct supervision of Dr Groning and Dr Conquest for up to 3 months at a time. For some of these students this will be their first exposure to General Practice, for others this will be their last post before qualification as a junior doctor. Please help us get them ready - they are the GPs and hospital doctors of the future! We aim for the students' time with us to be fun and informative - for the students AND our patients. The students aim to learn about communication, diagnosis and management of your conditions. The patient, will not only help in this process but hopefully gain from the experience as well - an understanding of our thought processes and clinical decision making as well as contributing to the training of tomorrows doctors. Your feedback on this process is important. Patients will never only see a student. They will always see a GP also. You will always be reviewed by the GP as well as the student. The GP and student may chat together about your case and with you about the consultation. As a patient you will benefit from a greater amount of consultation time - the whole process should be very interactive and a pleasant experience. We hope that engaging with the students will be as exciting for you, as it will be for the practice and trainees on placement.